While building HIV clinics in Lesotho, I was also responsible for rolling out the Partners In Health (PIH) web-based, open source Electronic Medical Records system - OpenMRS. I designed appropriate paper forms, tailored the EMR system to the specific needs of Lesotho, and hired and trained a team to perform data entry and IT maintenance. 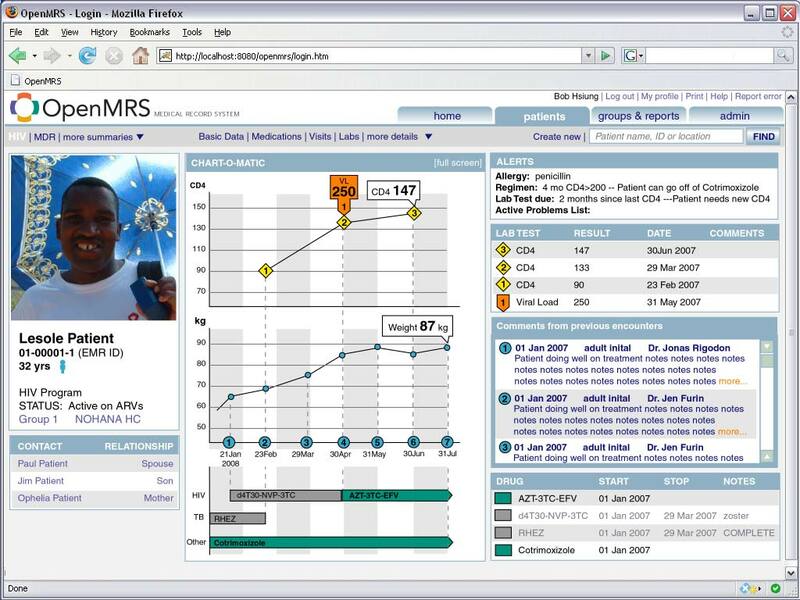 In just over a year, we enrolled over 2000 patients into the EMR. In addition, I led the effort to redesign the user interface to make the EMR both more useful to clinicians and to streamline and reduce errors in the data entry process. Since that time, I've directed the conceptual user interface design for the Connected Sustainable Home project. I contributed to the design of user interface for the RoNA family of robots at Hstar Technologies, and created conceptual designs of user interfaces for various equipment at Symbotic.